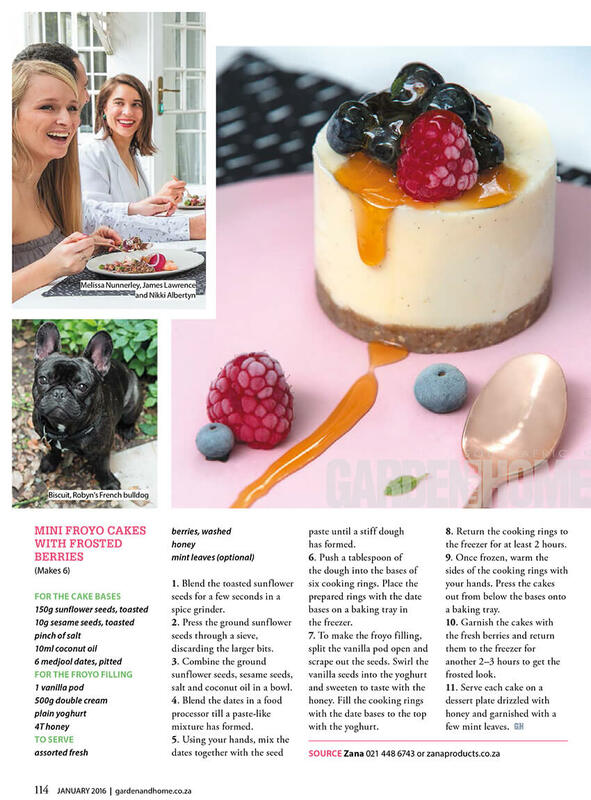 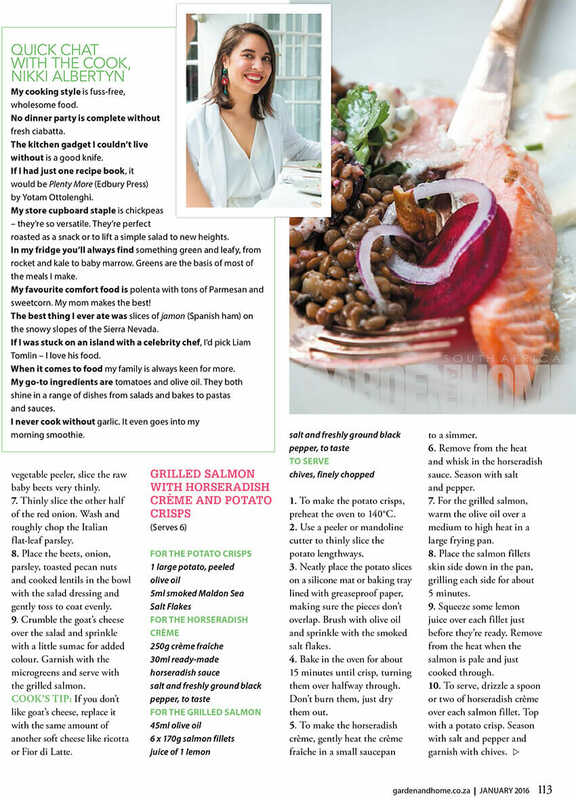 Did anyone spot us in the December issue of SA Garden & Home over the festive season? 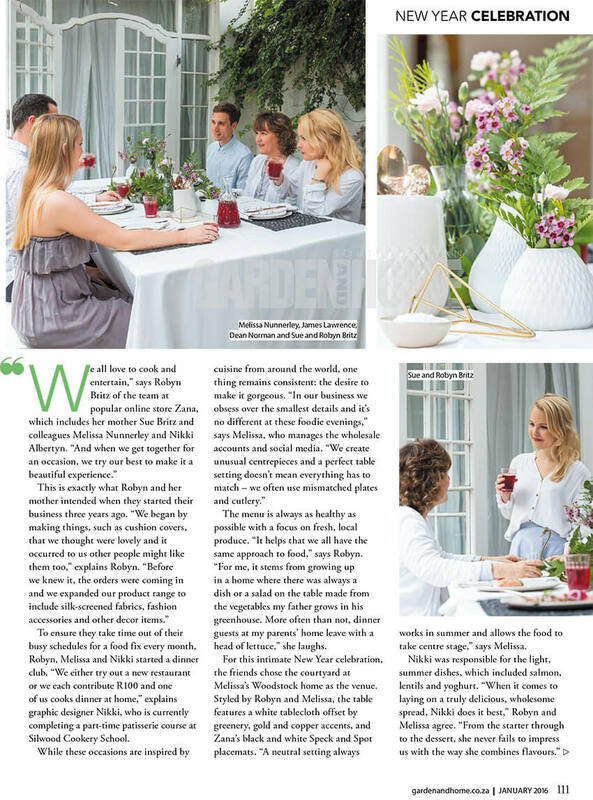 We were approached by the local mag to do something totally new for us. 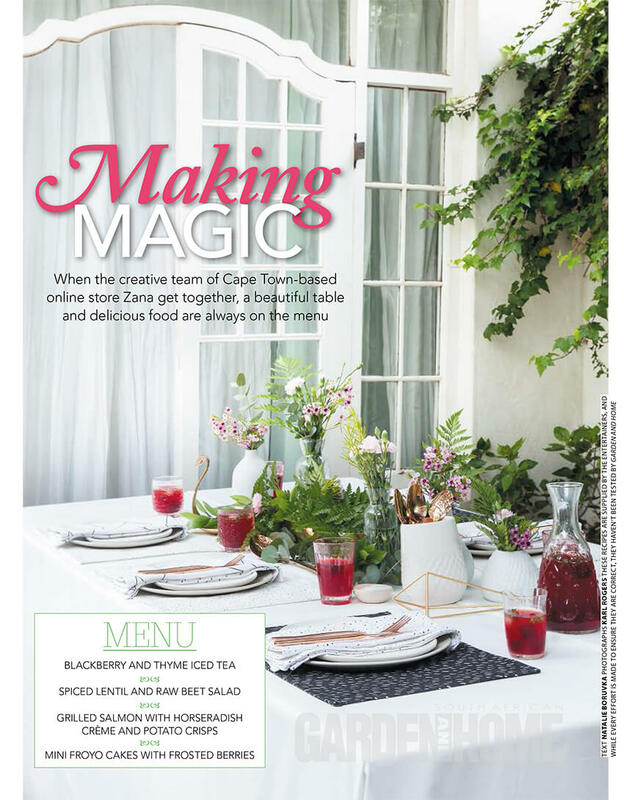 The Zana girls pulled together all our skills, from entertaining and table decor to cooking and food styling. 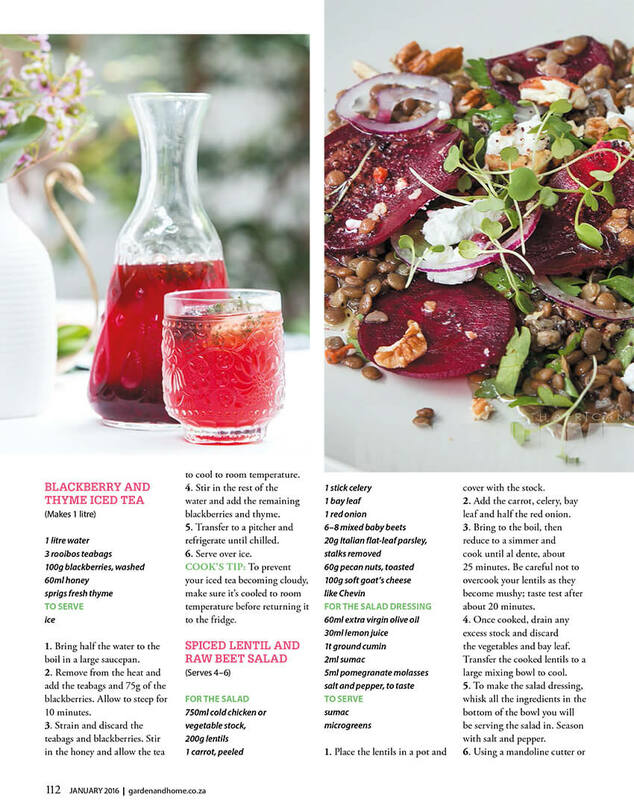 We are over the moon with how this 5 page spread turned out – thanks SA Garden and Home!